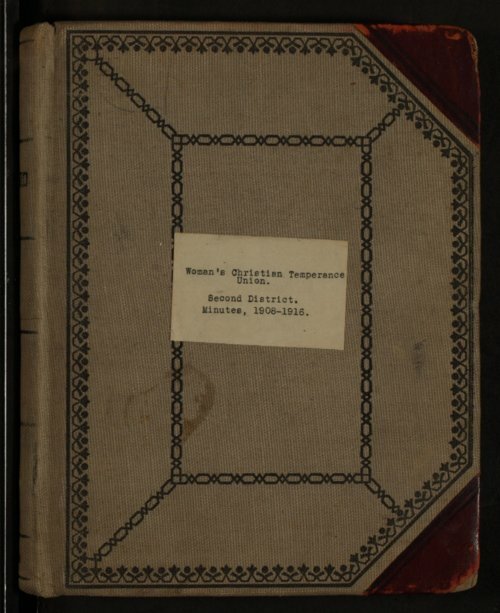 This collection consists of records of the Second District (eastern Kansas, including Allen, Anderson, Bourbon, Douglas, Franklin, Johnson, Linn, Miami and Wyandotte Counties) of the Woman's Christian Temperance Union. It includes a volume of meeting minutes, an account book, and banking slips. The meeting minutes were recorded by secretaries, Cora E. Leonard, Sallie Salisbury, and Hattie J. Sparks. Bank accounts were kept by treasurers, Lillie A. Helland and L.E. Hudson at the Farmers and Merchants Bank in Mound City and the First National Bank in Olathe.